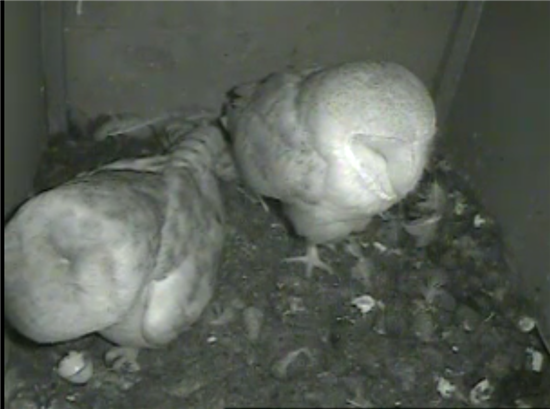 Both Adults in and Mr been in the naughty corner... 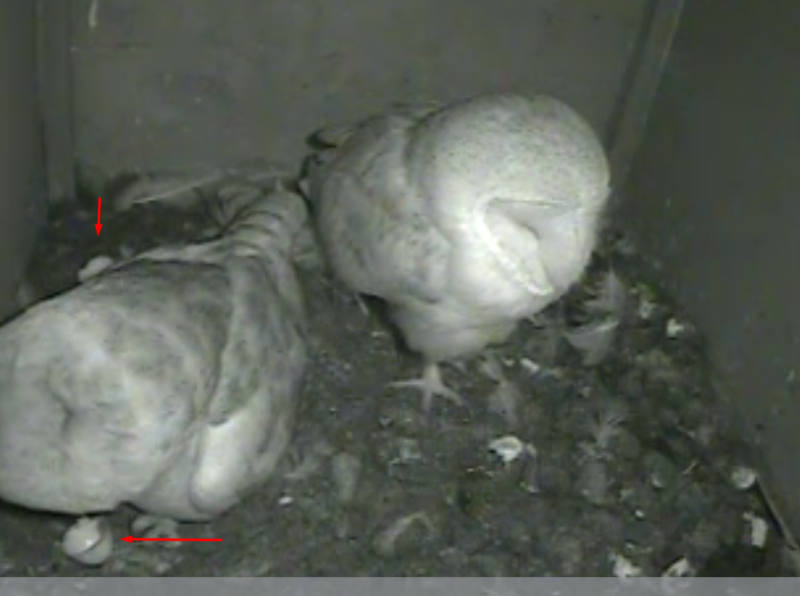 Both alerted to someone else landing on the entrance, and Mrs shoots out to chase, revealing still TWO and returns within seconds. 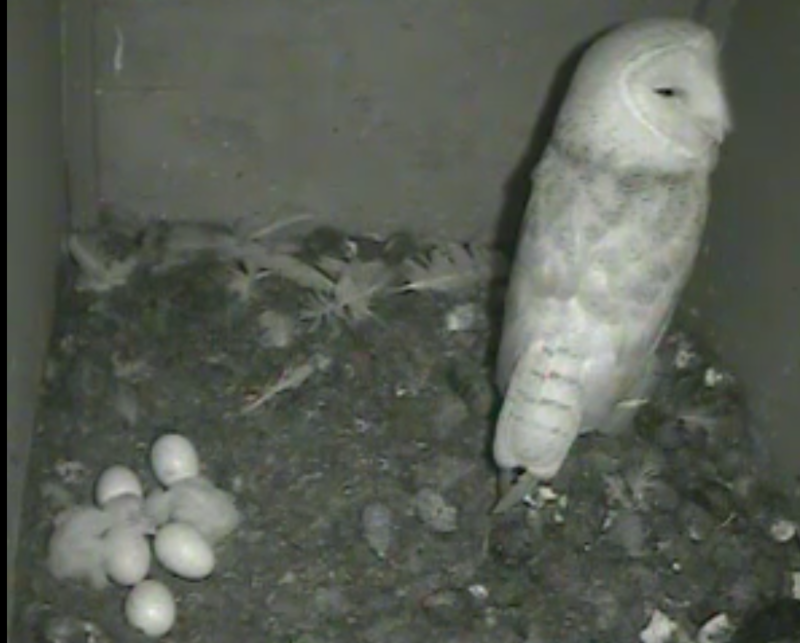 Hmm! 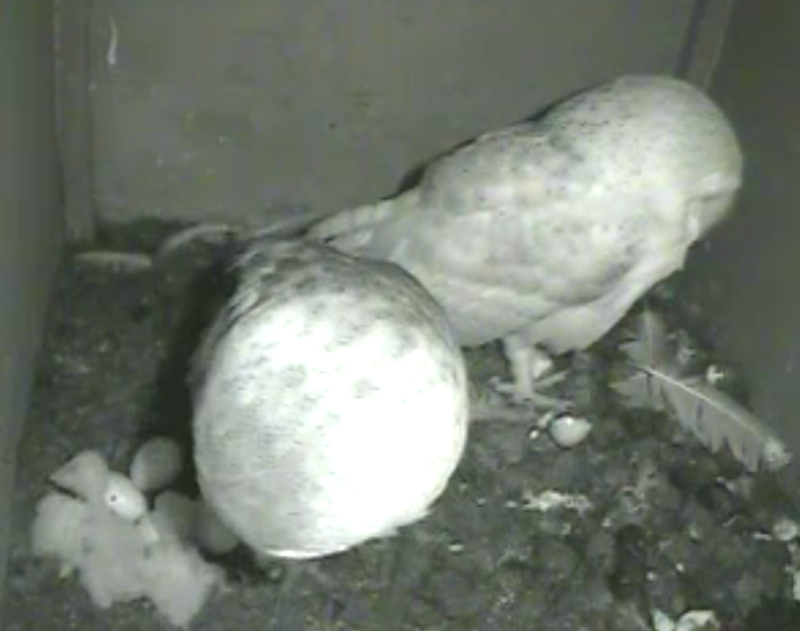 are the chicks hiding the fifth EGG? Is this third emerging ? 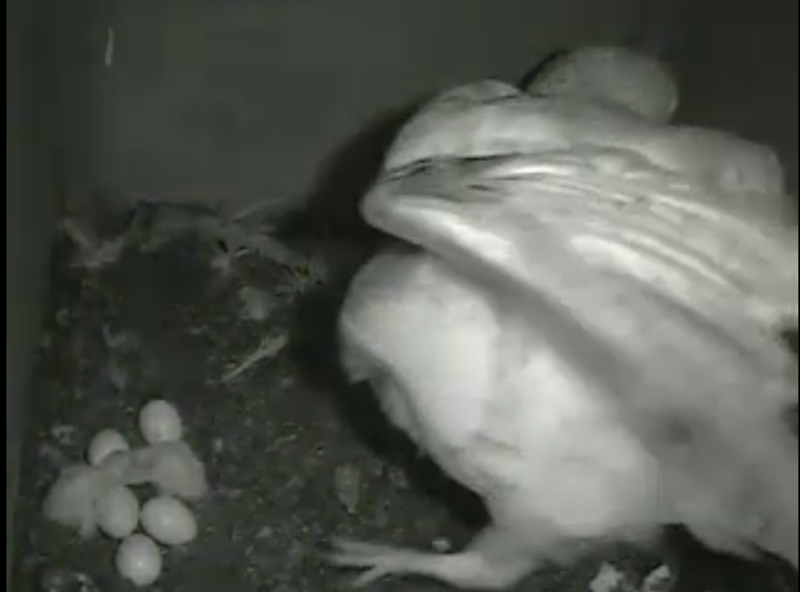 Thanks Kate for great captures ... being reported on blog that chick still half in the shell! 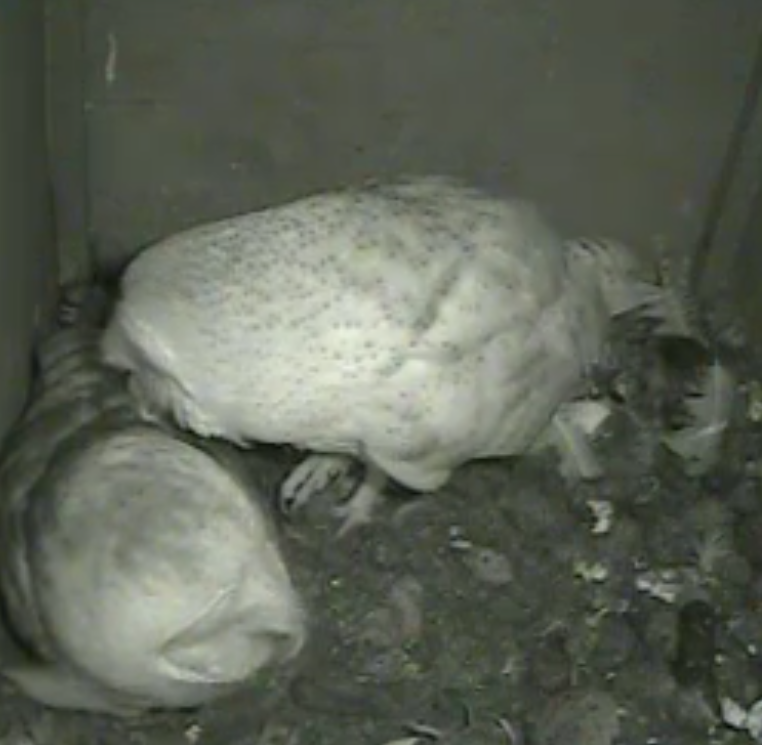 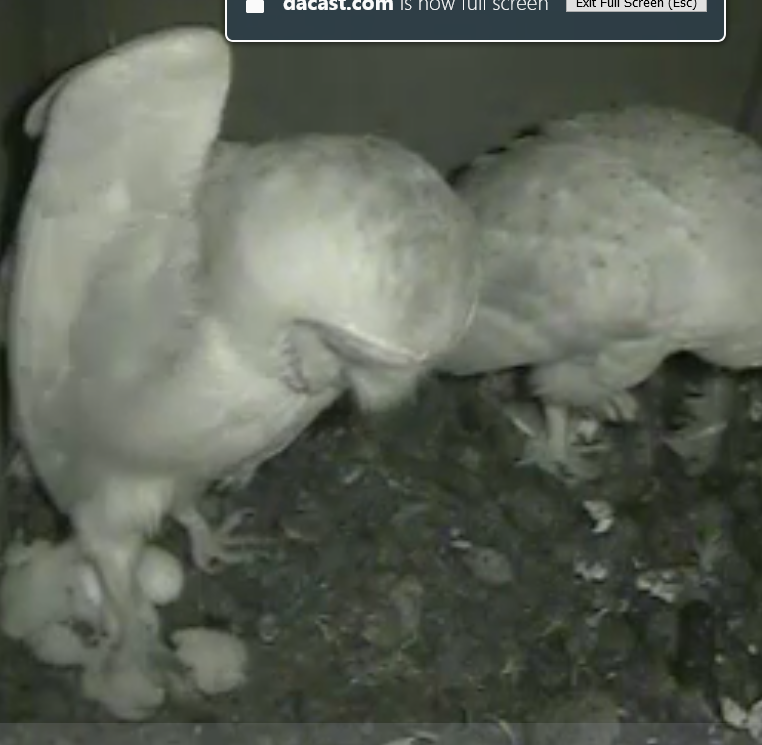 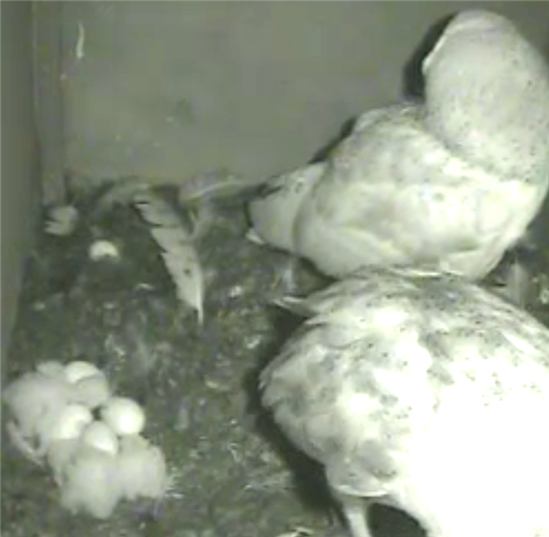 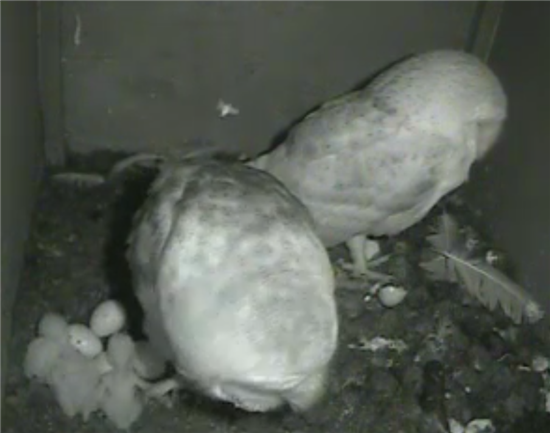 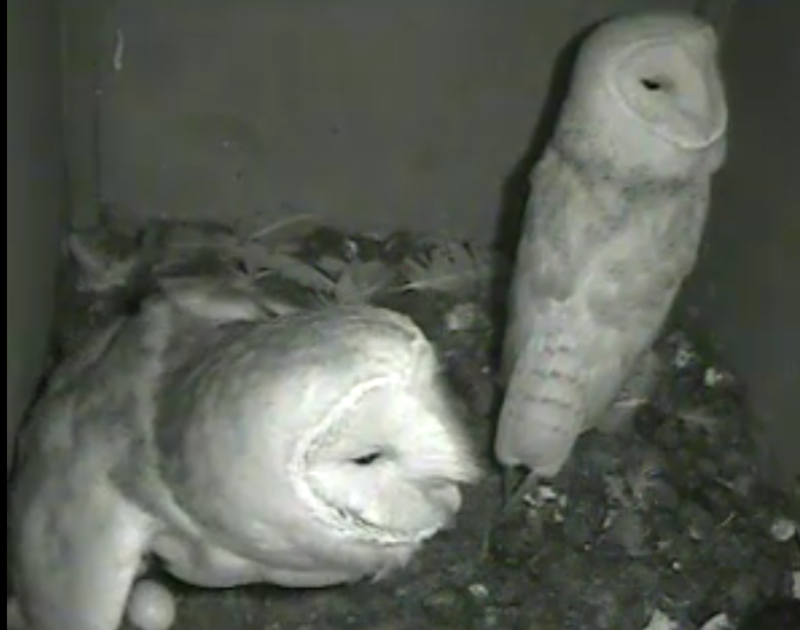 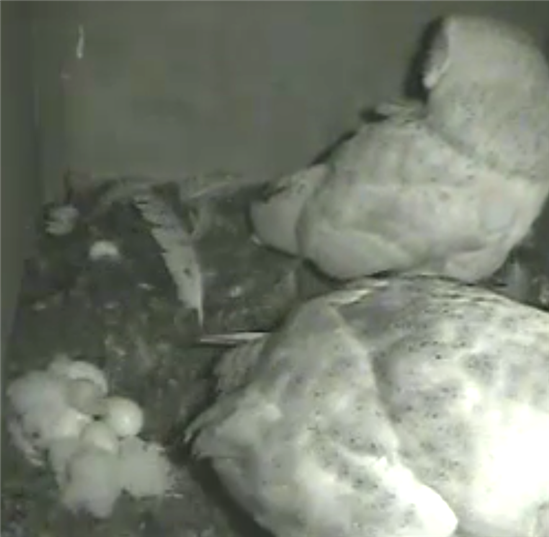 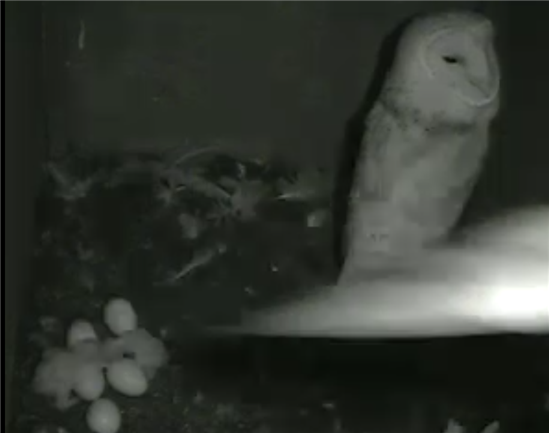 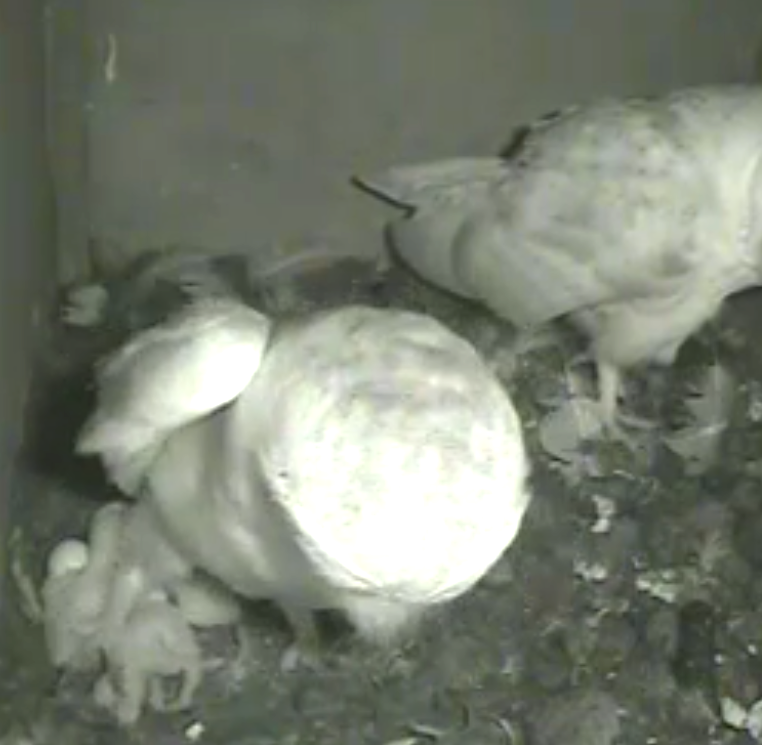 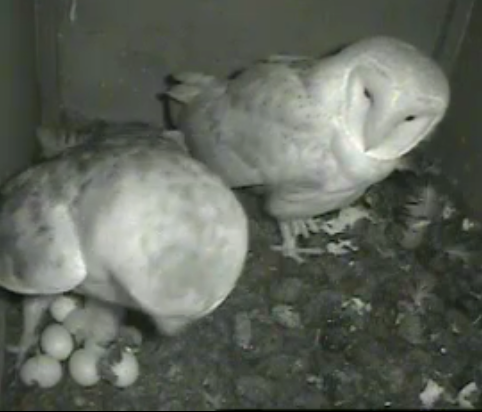 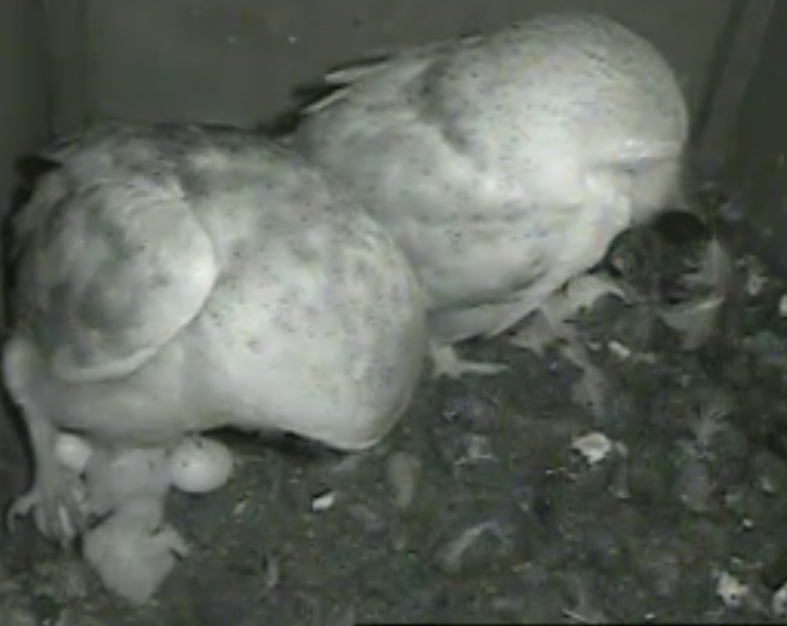 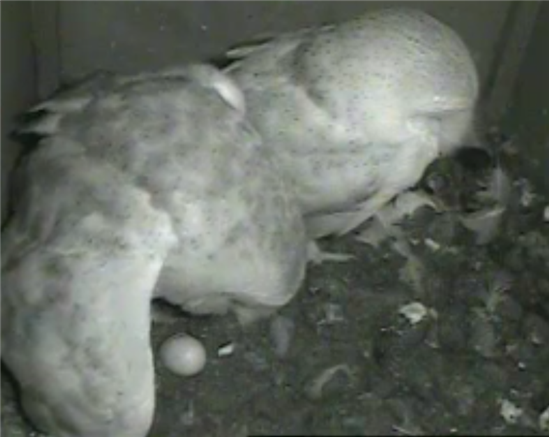 Seems to have been a successful hatch, this is all I could scap, two voles at front of box. 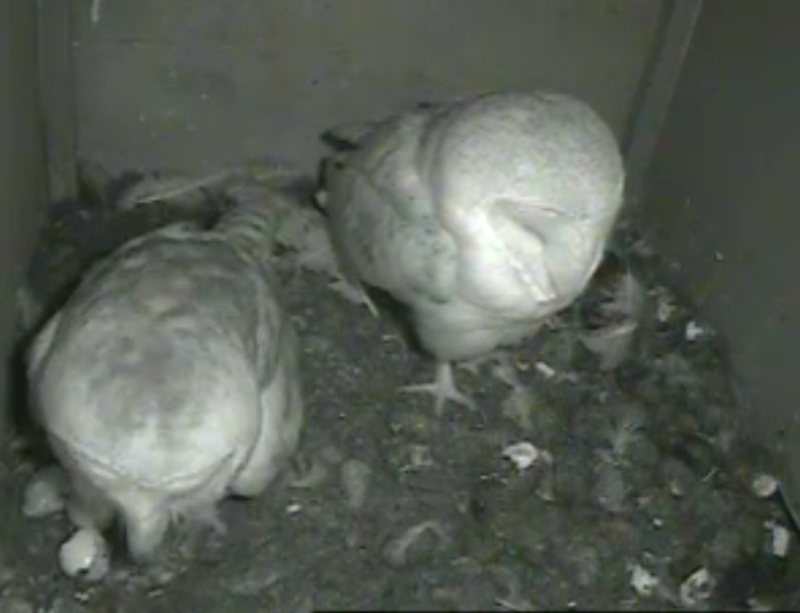 Thanks Kate, just been reading on blog that food is coming in quite regularly! 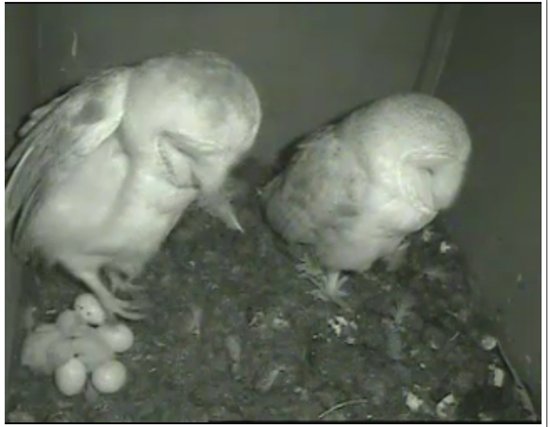 Little bundles of fluff, gorgeous.